For many women, days before their period are very hard, it may not just be tender breasts and a taste for sweets. If the signs of your coming period mess up your daily life (and the relationships around you), chances are high for premenstrual syndrome (PMS). For starters, and many are not, or maybe, your period is a natural part of your life and your life can go on normally, doing things that you would do any other time in the month, but when it gets to PMS and it is a problem, there are many ways to manage it. Premenstrual syndrome (PMS) is a group of changes (herein referred to as symptoms) that border physical, emotional and behavioural patterns that affect the normal you on many levels right before your periods begin. Once the periods set in, they go away. This combination of symptoms come in one or two weeks before the menstrual period. For some women, the symptoms may be so pronounced to include bloating, frequent headaches and moodiness. Others may miss work or school. Women in their 30s are most likely to have PMS but medical practitioners can help on finding relief for the symptoms. For most women, the symptoms are mild. 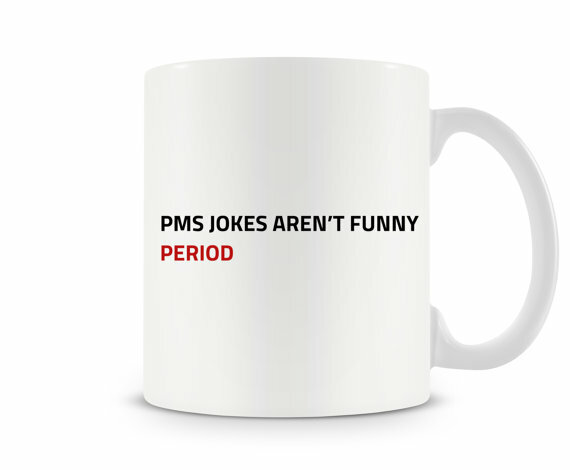 75 per cent of the women population agrees that they have had PMS at some point in their lives. PMS may get severe in the childbearing age and take a form known as the Premenstrual dysphoric disorder (PMDD). PMDD affects only less than 5 per cent (one in 20) women of childbearing age. PMS is more likely to set in if a woman experiences high-stress levels, especially with those that come from families with a history of depression. A personal history of depression or postpartum depression is also a risk factor for PMS. PMS stops when you no longer have periods, especially at menopause, but the symptoms get worse and more sensitive perimenopause (in the 30s and 40s). PMS symptoms are not constant for a woman. They are also different for every woman. These symptoms change throughout life and manifest themselves both physically and emotionally. The first thing to do is to seek a physician’s advice if the PMS symptoms affect your normal living in any way. Even though PMS is common in women, researchers are yet to understand the exact cause of the changes. They suggest that several changes in hormone levels during the menstrual cycle may play a role thus affecting different women differently. 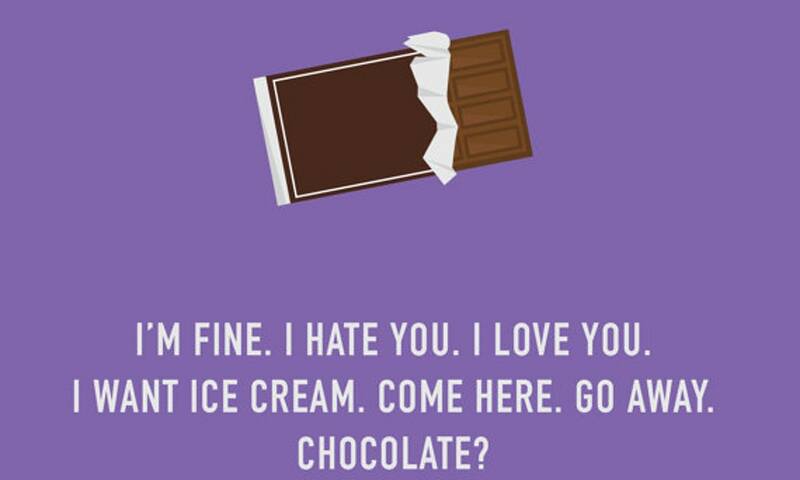 There is no single test for PMS as well. The doctor only interrogates the symptoms of how and when they happen in relation to how much they affect your life. It is important to track the changes and how severe they are before you see your doctor. Women living with certain health problems e.g migraines, asthma, allergies may also realise that these problems aggravate a few days to their period. Fortunately, there are many ways in which your health care provider can help you to cope with and manage the discomfort and unpleasantness caused by PMS. Some of the medications prescribed for this purpose can include antidepressants, Non-Steroidal Anti-Inflammatory Drugs (NSAIDs), diuretics, oral contraceptives and medroxyprogesterone acetate. However, there are a few side effects that may be associated with such medications, which is why many women choose to avoid them. Fortunately, you could follow a few self-care steps too, to achieve positive results in controlling the symptoms of PMS. Ensure that you get adequate amounts of sleep and rest during the day. Practice relaxation techniques like yoga, deep breathing, meditation. Choose to go through massage therapy, especially a head massage, which has a highly relaxing effect on the body. Engage in any hobby that can help you feel calmer and relaxed, even if it is something like reading, painting or listening to music. 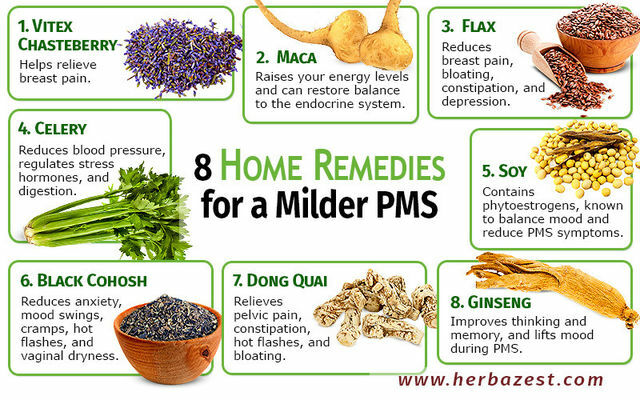 Herbal remedies are also known to relieve the symptoms of PMS to a great extent. Some of the most effective herbs that you can choose from include ginger, black cohosh, chaste berry dandelion, raspberry leaf and evening primrose oil. Drinking a few cups of herbal tea at regular intervals during the day is also said to be very helpful. However, the effectiveness of herbal remedies for PMS has still not been proved, due to the lack of scientific studies. Increase your intake of foods that are high in complex carbohydrates, such as fresh fruits, vegetables and whole grains. At the same time, simple carbs found in sweets and refined foods should be reduced or strictly avoided. Consume a higher amount of foods rich in calcium, in the form of milk and other dairy products like plain yoghurt and cottage cheese. For any reason, if your diet is low in calcium, you may need to add a supplement to your diet. Eat foods that are high in nutrients like magnesium, Vitamin B6 and Vitamin E.